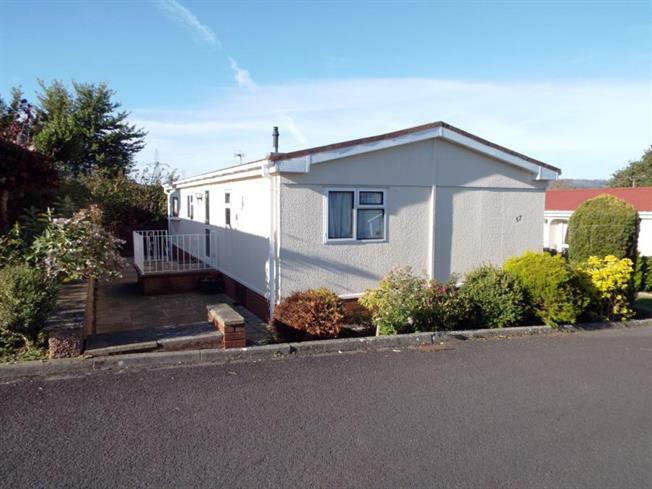 2 Bedroom Mobile Home For Sale in Honiton for Offers Over £110,000. position within Otter Valley Park. Cornwall, Taunton and the M5. This well presented two bedroom detached park home is available exclusively for the over 50's. This home has recently been decorated, with new carpets, and a new shower room. The property comprises of two double bedrooms, one with en suite bathroom. With a very good sized living room and separate dining room, plus a well fitted kitchen with separate utility room. The property has it's own allocated parking space, as well as access to visitors parking. The gardens are paved to one side, and lawned and paved on the other side.